Click on the street map below to open the free PDF document! To download the PDF document, click on the right mouse button (at touch displays long press) and select -Save Target / Link ...-. That is all it takes to get a free download of the PDF map on your PC, tablet or smartphone. 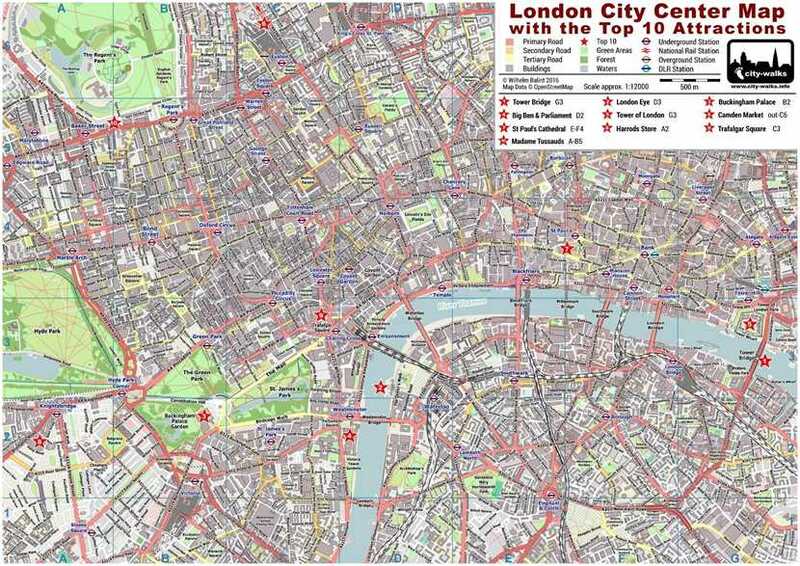 For a print of the standard version, you should use the A3 format to get a legible street map of London's city center. For all who only have the possibility to print on A4 pages, city walks offer the following solution. Click on the button further below to open the two-page A4 print version of the map. By downloading of this free PDF map of London you will get a clearly arranged street map of the touristic city center, perfect for your smartphone or tablet. 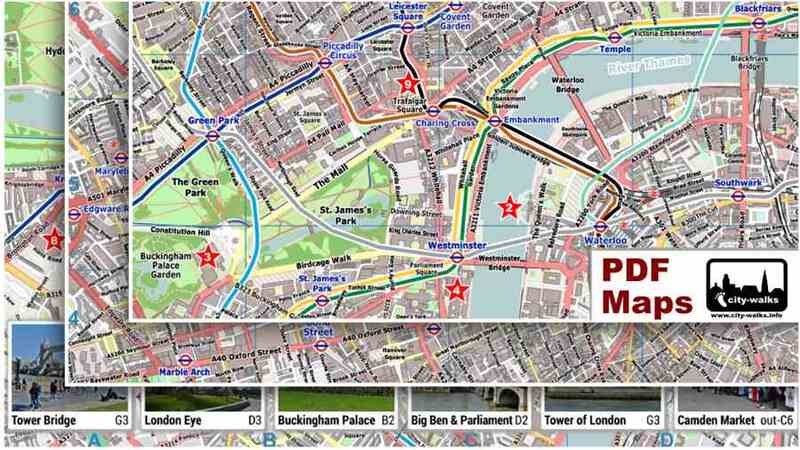 The used scale allows a detailed presentation of the numerous squares, streets and parks in the center of London. The most important sights are marked with a red star and in the legend you will see the respective name for each attraction. In addition to the name, letters and numbers indicate the position in the search grid so it is easy for you to find the top attractions.